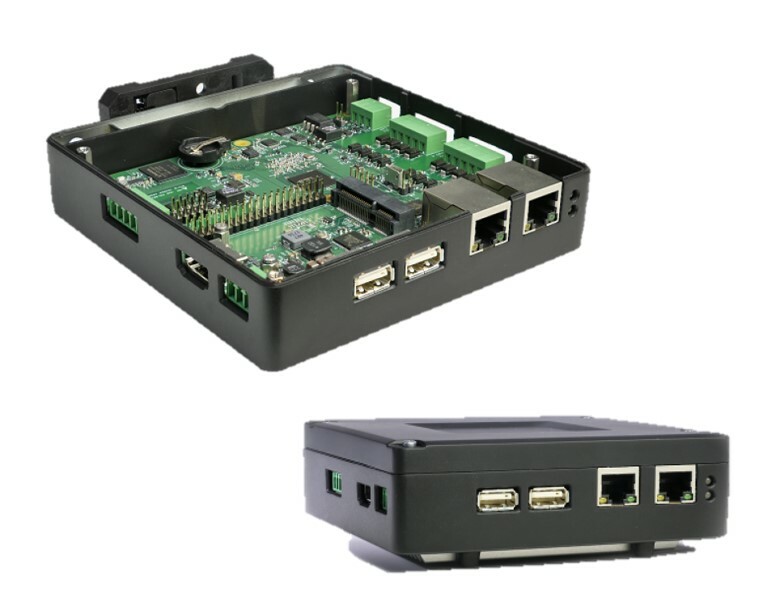 Newark Element14 and Avnet have announced a Raspberry Pi based “SmartEdge Industrial IoT Gateway” with 2x Ethernet, Wi-Fi/BT, CAN, serial and optional Zigbee, Z-Wave or LoRa. Avnet, which last year launched the Zynq UltraScale+ based ‘Ultra96 96Boards CE SBC, announced plans for the Avnet SmartEdge Industrial IoT Gateway at the CES show in early January. 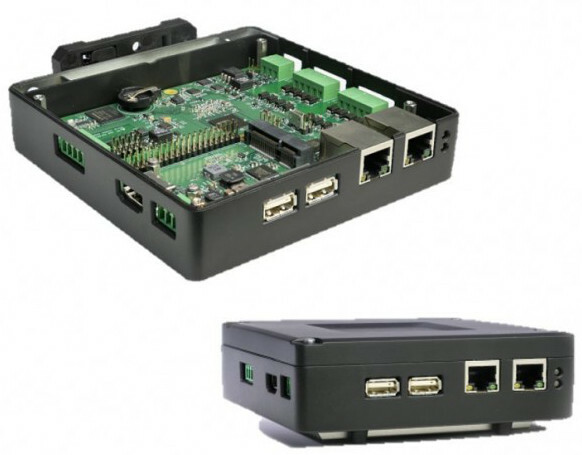 At Embedded World last month, Premier Farnell revealed more details on the Raspberry Pi based IoT gateway, which will launch this summer at Newark Element14 in North America and Farnell Element14 in Europe. (click image to enlarge)The Avnet SmartEdge Industrial IoT Gateway will support Avnet’s IoT Connectplatform to enable cloud connectivity to Microsoft Azure. The Linux-driven embedded PC will support industrial automation applications such as remote monitoring, predictive maintenance, process control, and automation. Premier Farnell did not say which Raspberry Pi is under the hood, but based on the WiFi support, it would appear to be the RPi 3 Model B rather than the B+. The limited specs announced for the gateway include 8GB eMMC, an HDMI port, and TPM 2.0 security. The image suggests there are also at least 2x USB ports and a coincell battery holder for a real-time clock. For communications, you get dual 10/100 Ethernet ports as well as 2.4GHz WiFi and BLE 4.2 with an integrated antenna and external mount. The gateway also provides a mini-PCIe interface for optional cellular modems. In addition, the enclosure “features space for an additional internal accessory to provide Zigbee, Z-Wave, or LoRa capabilities, for example, or for multiple accessories through case expansion,” say Premier Farnell. The system is further equipped with CAN-BUS and RS-232/485 interfaces with Modbus and DeviceNet support, as well as isolated digital I/O. There’s also a 40-pin expansion header for Raspberry Pi HATs and other add-on boards. The system has a wide-range 12-24V DC input plus DIN rail and wall mounting. The Avnet SmartEdge Industrial IoT Gateway will launch this summer at Newark Element14 in North America and Farnell Element14 in Europe, with pricing undisclosed. More information is available in the Premier Farnell announcement and more may eventually appear on the Avnet website. This article originally appeared on LinuxGizmos.com on March 4.. 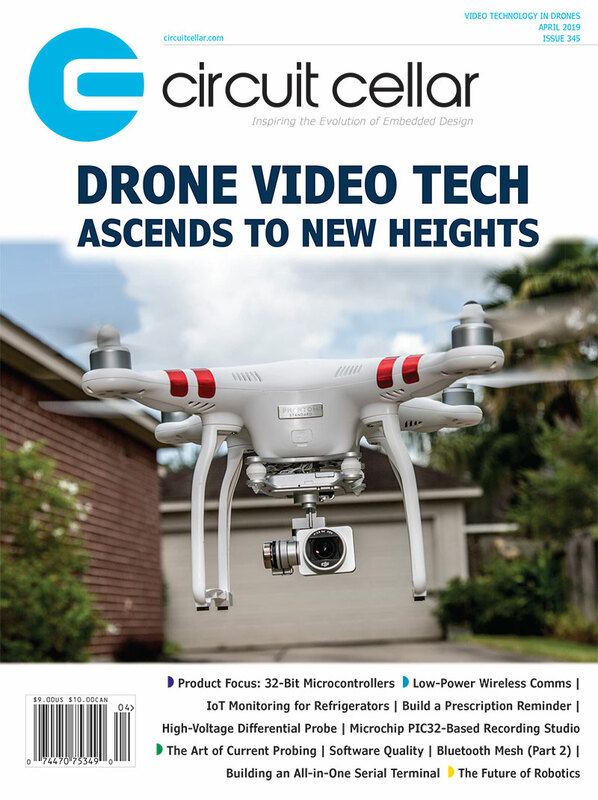 This entry was posted in Industry & Enterprise, Product News and tagged IoT gateway Cellular, LoRa, LoRaWAN, Raspberry Pi, sensors, wireless, Z-Wave, Zigbee by Circuit Cellar Staff.